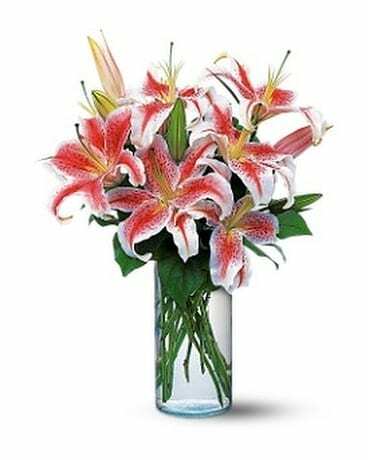 Lovely Lilies in Asheville NC - Merrimon Florist Inc.
Lilies have long been a sweet and wonderful way to warm anyone's heart. These stargazer lilies are sure to do the trick. Stargazer lilies arrive in a glass cylinder vase.